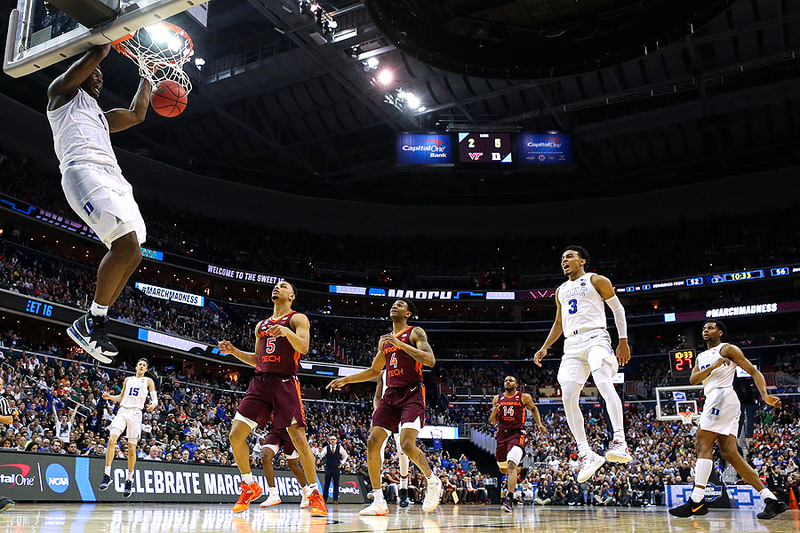 "Zion Williamson #1 of the Duke Blue Devils dunks the ball against the Virginia Tech Hokies during the second half in the East Regional game of the 2019 NCAA Men's Basketball Tournament at Capital One Arena on March 29, 2019 in Washington, DC." March Madness: There is no greater emotion seen on a basketball court anywhere in the world. Every play. Every pass. Every bucket. It all matters as the best in college basketball chase the title of National Champions. Documenting nine games in a week, it has been fun photographing both blowout and close action. What was even more fun was getting a few games with the player which has been called one of the most exciting players this season - Zion Williamson of the Duke Blue Devils. While Duke ended up losing in the Elite 8, the plays were quite thrilling like the above.